Can't make it in person? No problem! We're going to live stream the workshop on YouTube. Sign up to get a reminder. Join two local tech companies, AWeber and Stoop, as they teach you how to create an email newsletter that'll take your relationship status with your audience from 'just friends' to BFFs. 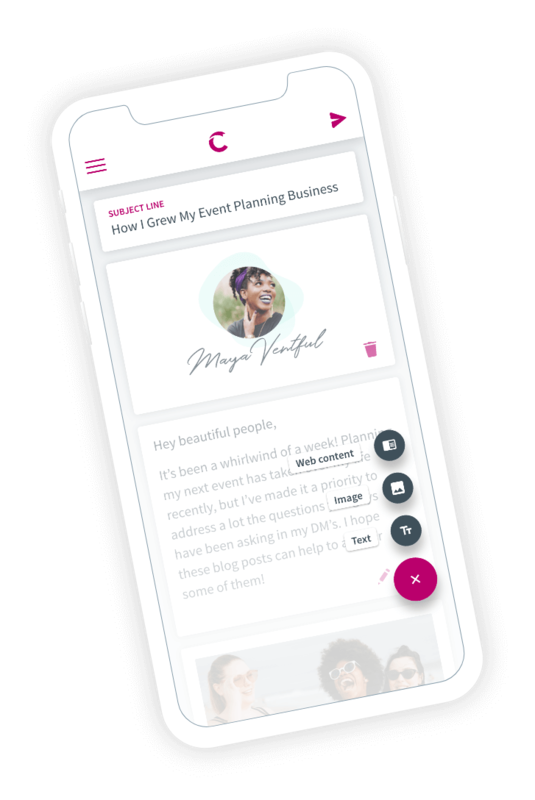 How to use AWeber's mobile app, Curate, to create an email newsletter in less than 10 minutes right from the palm of your hand. Tips on how to break newsletter writer's block. All sorts of publishing tips from Stoop, an easy to use application which allows people to discover, subscribe, and consume great content all in one place, enabling you to gain more customers and grow your business or personal brand. AWeber helps small businesses and entrepreneurs drive real results with powerful, targeted email and automation. Stoop helps you discover, subscribe, and consume great content all in one place. Get those newsletters out of your inbox and onto your Stoop. To get the most out of the workshop, download the Curate newsletter creation app for free. Can't make it in person? No problem! We're going to live stream the workshop on YouTube. Sign up to get a reminder.